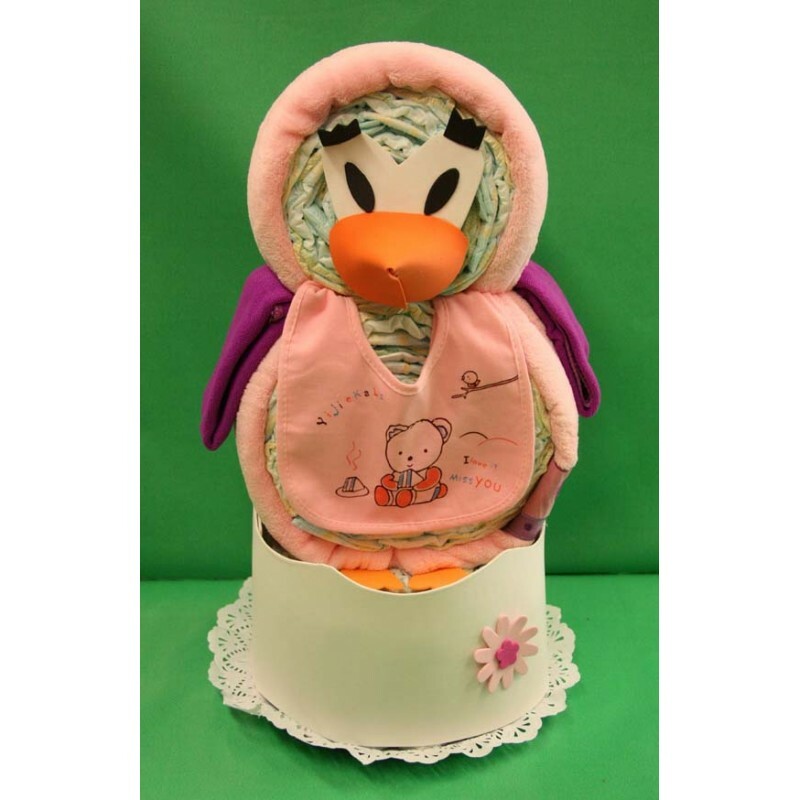 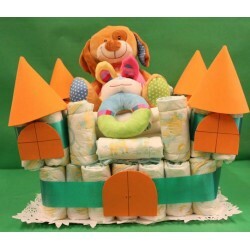 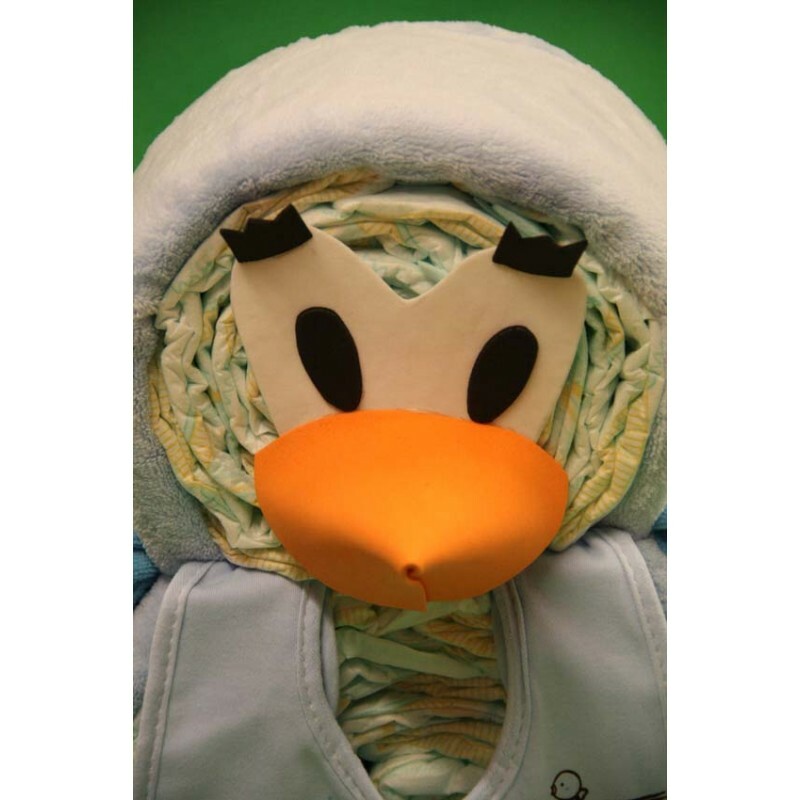 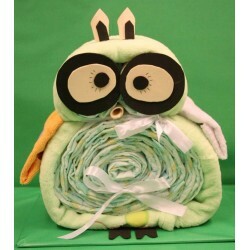 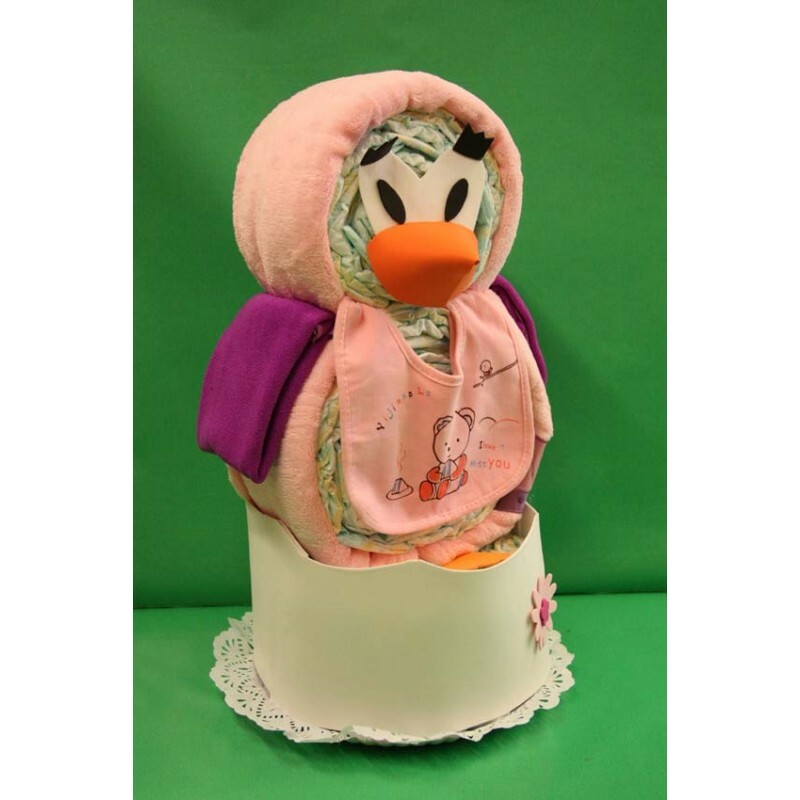 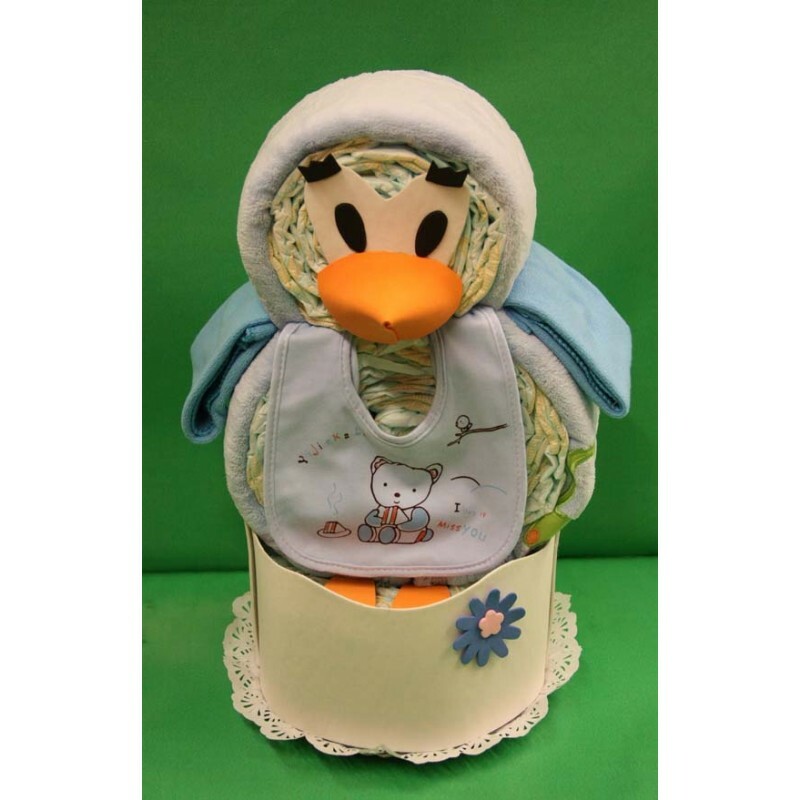 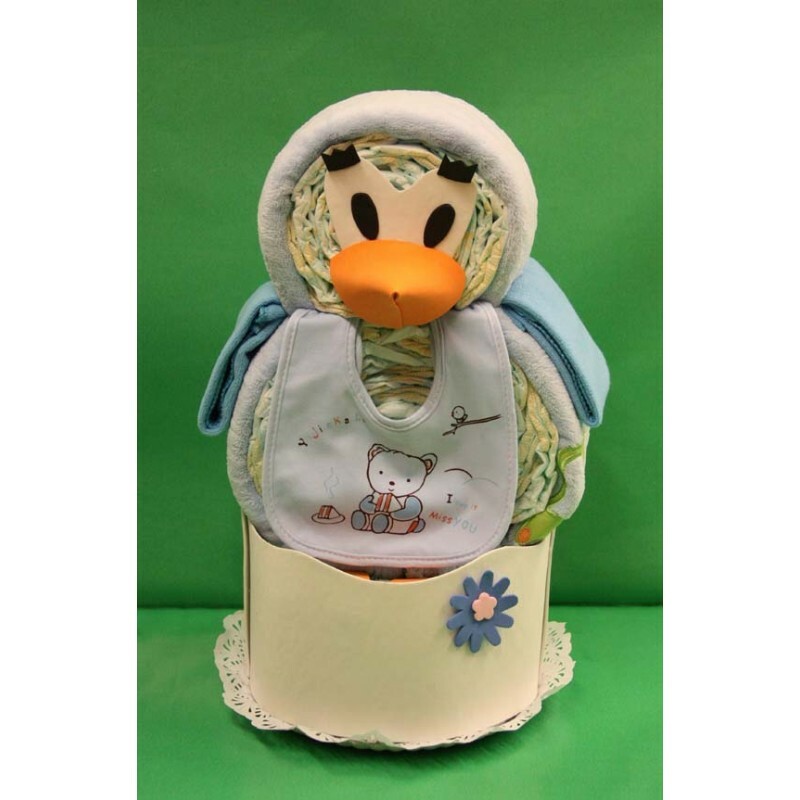 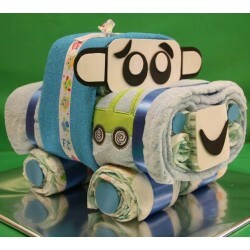 Nice duck with 52 diapers of the brand Dodot Stages, which includes a blanket, one bib, and two wipes for the baby. 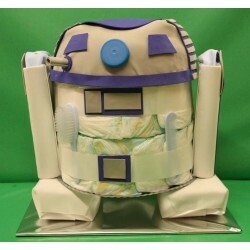 Guidance image. 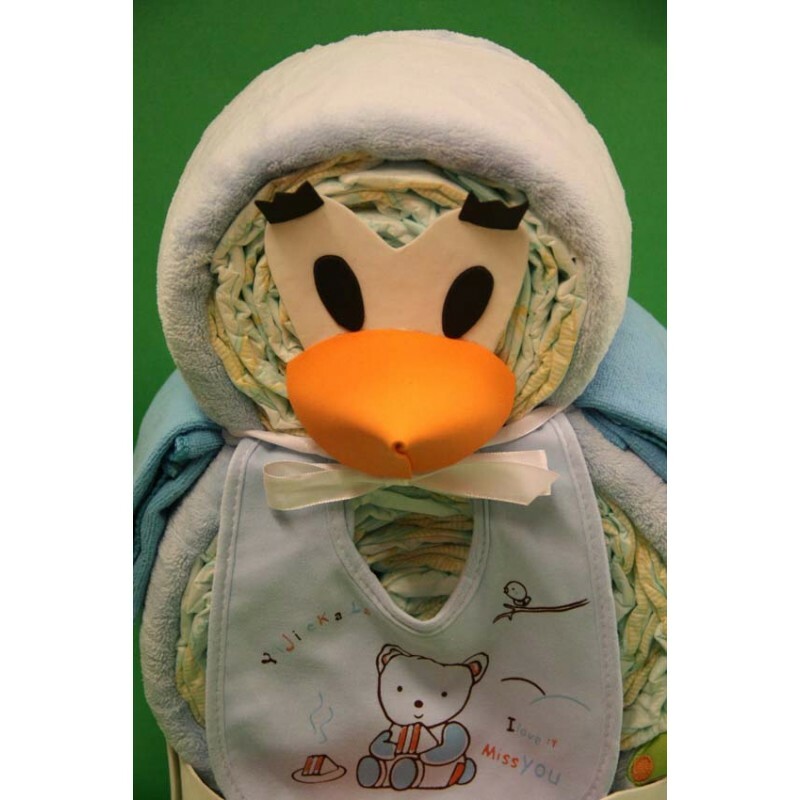 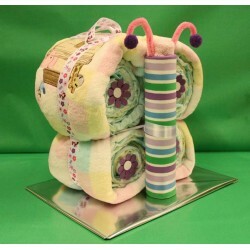 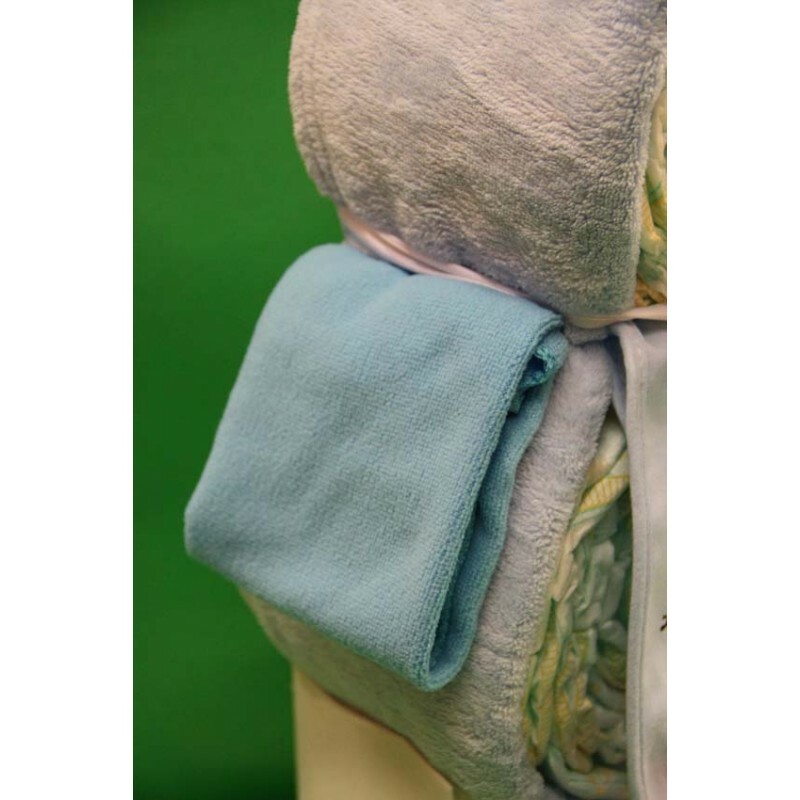 Items that include this product (wipes, blanket, bib), may not match the same model of the image (depending on availability). 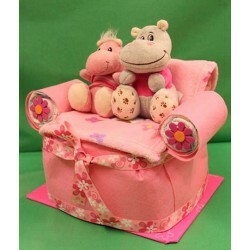 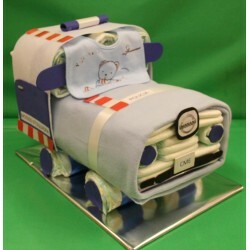 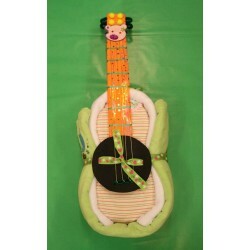 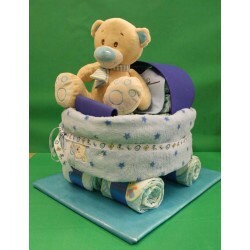 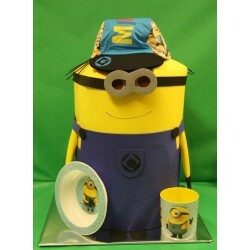 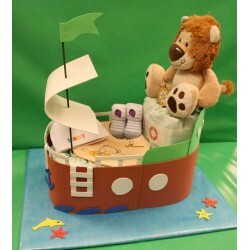 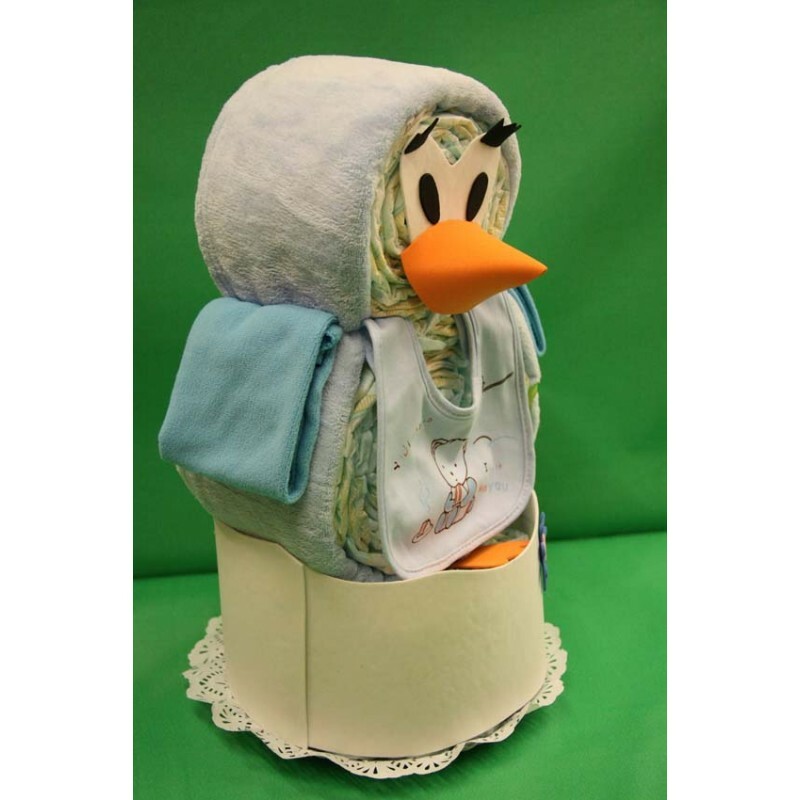 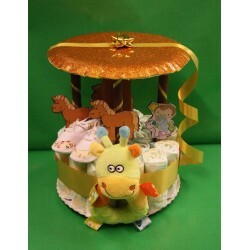 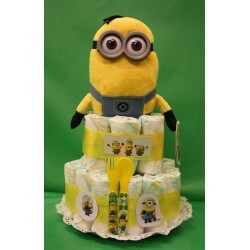 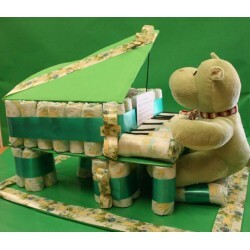 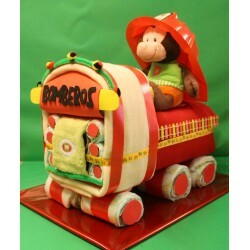 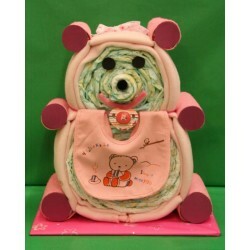 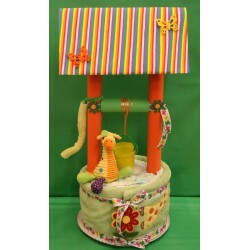 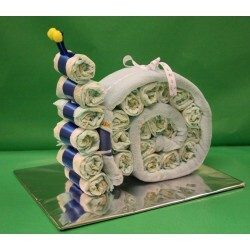 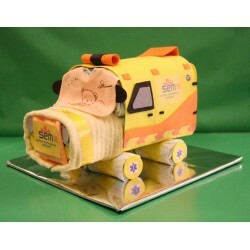 All our diaper cakes are delivered wrapped in transparent cellophane paper and a large bow. 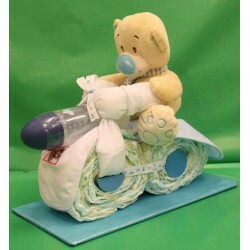 Customizable item with baby name.